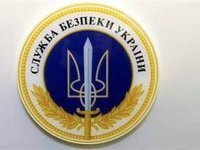 Employees of the Security Service of Ukraine (SBU) have exposed a group that, by order of representatives of Russia, had been arranging provocative actions in Lviv, the SBU press center said on Thursday. "The law enforcers determined that the lawbreakers, hiding behind social slogans, took part in the protests ordered by the Kremlin propagandists. The special service employees recorded the involvement of the group's "leaders" in a series of acts of vandalism, including against the consular and diplomatic institutions of foreign states operating in the region, a message says. The SBU detectives also documented that the group's members "distributed materials on social networks aimed at destabilizing the political situation in the region." "Comprehensive expert-linguistic research established the existence of public calls for the violent overthrow of state power in publications, the lawbreakers were spreading on the Internet," the SBU press center reported. During eight searches at the place of residence and the offices of the radicals, law enforcement officers seized computer equipment and materials with evidence of illegal activity. Criminal proceedings were opened under Part 2 of Article 109 and Part 2 of Article 110 of the Criminal Code of Ukraine. Immediate investigative and operational actions are underway.